You can get the answers to your questions about Diablo 3's Necromancer in a live Q&A this Wednesday. If you haven't gotten to jump into the Diablo 3 Necromancer beta yet, it's likely that you've got questions about the upcoming class. Blizzard knows this, and so the company plans to host a special Q&A this Wednesday, May 3. 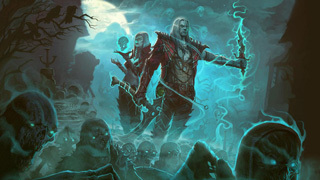 The Necromancer was first announced at Blizzcon 2016, and the beta test began in April. We still don't know when the Necromancer will be released or how much the add-on will cost, and Blizzard isn't ready to share that information yet. However, the company is asking for players to submit their questions about the class, its mechanics, and the like right now for Wednesday's Q&A. If you've got a question, there are a couple of ways for you to get them to Blizzard. You can post it in the official forum thread or send a Tweet to the official Twitter account using the hashtag #D3QA. As far as the answers go, you can tune in on Wednesday, May 3 at 7 PM to the Blizzard Twitch channel or Facebook page to watch the company respond to the questions.